In a new study, the researchers created a fictitious Facebook profile of an 18-year-old named Kate, who, in response to a post, received a mean comment—"Who cares! This is why nobody likes you"—from a Facebook friend named Sarah. That comment gets six likes. The study involved 118 people, ages 18 to 22, from throughout the United States, 58 percent of the participants were female, and were recruited through Amazon Mechanical Turk. They were randomly divided into four groups; each group saw Sarah's nasty comment in response to a different Facebook post from Kate. Across the four groups, Kate's Facebook post varied in level of personal disclosure (more or less personal) and whether it was positive or negative. Two groups saw Kate make a highly personal disclosure about a relationship. "I hate it when you miss someone like crazy and you think they might not miss you back ☹" (negative) or "I love it when you like someone like crazy and you think they might like you back ☺" (positive). The other two groups saw Kate make a less personal comment about the popular HBO program, "Game of Thrones." "I hate it when a Game of Thrones episode ends and you have to wait a whole week to watch more ☹" or "I love it when a Game of Thrones episode ends and you can't wait until next week to watch more ☺." Although the majority of participants considered Sarah's comment an example of cyberbullying, they varied in their responses to Kate's being bullied depending on her original post. Regardless of whether Kate's post was positive or negative, participants viewed Kate more negatively when she posted a highly personal disclosure. "We found that when the Facebook post is a more personal expression of the victim's feelings, participants showed lower levels of empathy and felt Kate was more to blame for being cyberbullied," said Hannah Schacter, a UCLA graduate student in developmental psychology, and lead author of the study, which is published in the journal Computers in Human Behavior. Participants were asked, on a scale of one to five, whether they "felt for" Kate and whether they blamed Kate for Sarah's criticism of her. Although the differences were small (about one third of point), they showed a consistent pattern of less forgiving responses when Kate posted about her personal issues as opposed to about Game of Thrones. 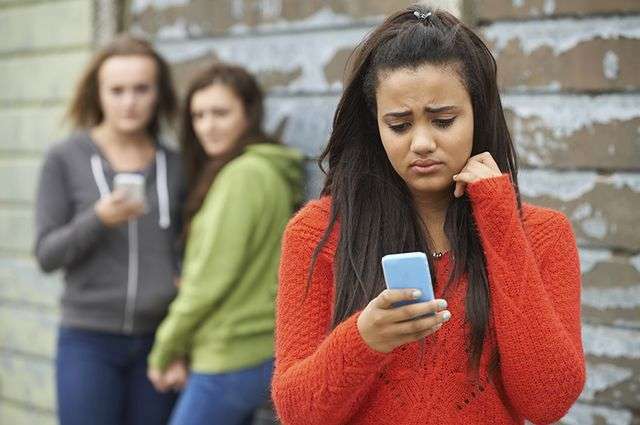 The authors found that victim-blaming and empathy for the victim influenced whether participants would intervene by sending a supportive message to the bullying victim (Kate), posting a supportive message, or posting that they disagree with the bully's comment. When participants felt that Kate deserved to be bullied and felt less empathy for her, they were less likely to express support for the victim. "The emotional reactions toward Kate help explain whether online bystanders are likely to support the victim," said Jaana Juvonen, a UCLA professor of psychology and senior author of the research. "Our study suggests oversharing of personal information leads bystanders to blame and not feel for the victim," Schacter said. "Young people need to understand that by revealing personal issues publicly online, they may make themselves more vulnerable to attacks from those seeking to harm others," Juvonen said. Sharing your feelings with a close friend is quite different from publicly sharing with many people who don't know you well. However, Schacter and Juvonen emphasize that the study's findings have important implications for changing how people react when they see online bullying. Rather than placing the burden on victims to monitor their online behavior, the authors say that more online empathy is needed. This is a challenge, they note, because bystanders do not see the anguish of victims of online bullying. "Supportive messages can make a big difference in how the victim feels," Schacter said. Other research, she noted, shows that sharing of troubles can help strengthen friendships among students and young adults.